It’s true. I am, indeed, dumbfounded. Could it be true? Could I really be at a loss for words? Certainly my Mom would never believe it! 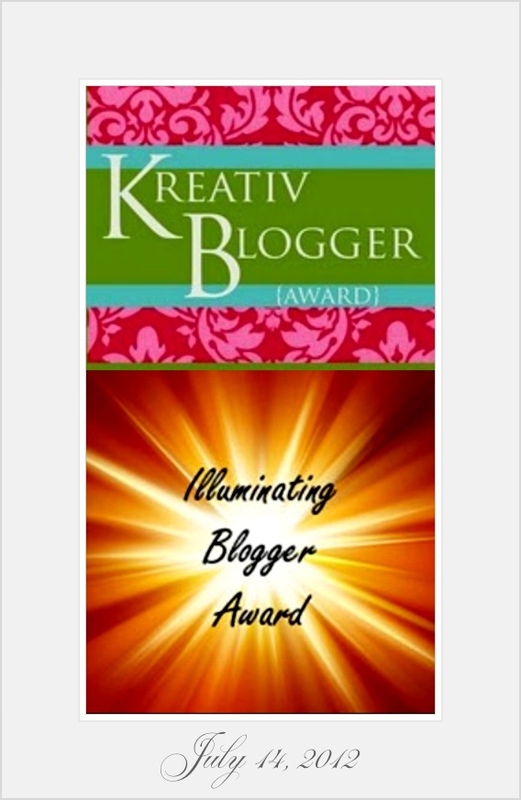 Nonetheless, I find myself simply stunned by the generosity and extraordinary kindness of my fellow bloggers. I feel like I’m kicking the Oscars to the curb. Of course you do realise that this means two things. 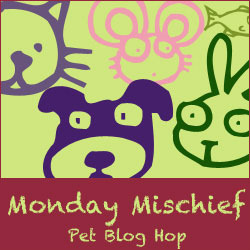 Firstly, I have to embarrass myself, yet again (I’m definitely going to have to look into writing this blog from an animal’s point of view). This will happen after displaying my beautiful, new Award Decorations. Secondly, I have to work, again. See, you guys are making me use that 4-letter word. My mother is not going to be impressed. Tut, tut! Golly, I’m tired already but in an elated kind of way. I get so over-excited about awards I can barely contain myself. I have an inherent fear of the kitchen. As a kid, when in trouble, I was always called to the kitchen, where the door could be shut. On the short walk there, I had to figure out all the things I’d done wrong, which one she might have found out about and, to be on the safe side, excuses for all of them. I do not like walking to kitchens! The first time I invited a boyfriend for dinner, I phoned my sister to find out how to boil an egg! I cannot remember if he got any food and, anyway, what was I thinking with boiled eggs? I am a terrible procrastinator, which is why, whilst I am supposed to be doing research (for an upcoming conference and workshop at which I am talking), I am busy writing this blog. See, it’s all your fault – never mine! It would have been just rude not to get a “Thanks for the Awards” blog out. I will be out of town during the coming week (for the above). This is not an invitation to break into my place and steal anything! It’s not that I’m possession driven, however, I have become slightly attached to what I have, so, if you could please leave it where it is, I would be eternally grateful. My Dad is convinced (or so he says) that he is from a different planet – called Zurgon. And my parents wonder why I’m not normal! I believe that laughter is extremely important – which is why I embarrass my mother so frequently. I also believe that forgiveness is vital – I hope my mother forgives me. Right, that’s quite enough embarrassment for one day. 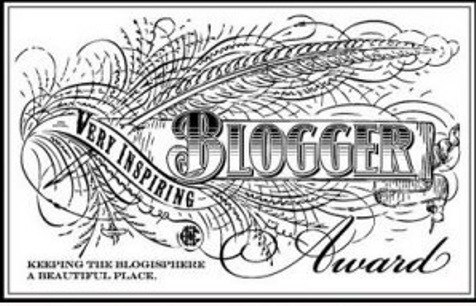 So, moving onto a more pleasurable task, I am nominating 15 blogs, who, as I have no idea who has received what in the past, may choose whichever award/s they wish. I believe they all deserve them. Now don’t go getting upset if your blog is not on the list. It’s not because I don’t think you are fantastic. I am simply trying to choose sites which I have not yet nominated. I promise, I think you are all brilliant! 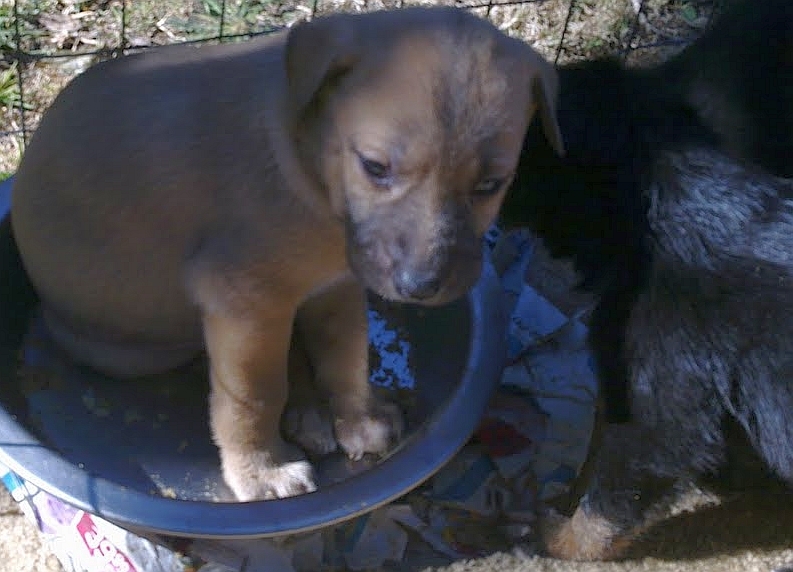 For the sake of the rescue animals, I hope there will be more and I can get to nominate everyone I love. Is it a CAT? Is it a Dog? No – It’s Sarah-Bell!! On Saturday I was lucky enough to visit Sarah-Bell, my previous 1-week old bottle feeder. Sarah-Bell is now 7 months old and doing fabulously. Which is more than I can say for her parents furniture, or nerves. Her probation is going reasonably well, certainly with respect to medication. However, the couch stuffing would seriously disagree. The ever regal, leather lounge suite appears to have lodged a restraining order. The now multiple holes, with delightfully soft stuffing protruding, are proving irresistible to this convicted criminal. We await the judges’ decision. This is probably the most difficult time for all furry parents (not the parents, silly, they’re not furry, the dog is!). That terrifying age where they are nearly full grown but have not yet mastered their brain. She appears to have decided she’s a cat. She doesn’t look like a cat but that doesn’t appear to bother her in the slightest. This new found behaviour trait involves insisting on sitting on the laps and licking the faces of anyone who would rather she didn’t. Sounds like a cat to me! They had a friend over who is decidedly a “cat person”. She got “that look”. You know the one I mean. That look that people who have not yet had children get when watching a 2 year old being, well, a 2 year old – pushing their parents’ every button, throwing hissy-fit temper tantrums and generally performing like a monkey on steroids. That look that means “can you really not control that thing?”. Sarah-Bell seemed to find this look delightful – an enticing encouragement. She seems to have developed a purpose in life, that being to convince “cat people” that dogs are fantastic. The process by which she has decided to achieve her goal is to climb (or, rather, leap) onto their laps, fling her now dangerous tail around wildly, stick a ridiculous grin on her face and smother them with slobbery kisses all over their faces. She’s one bright little button on a serious quest. It’s not that she doesn’t stop when told to but her dedication to her cause is remarkable and will inevitably be resumed the second her parents’ backs are turned. You’ve got to give her a High Five for perseverance. For all her convictions, though, this truly is another Happy Ending. 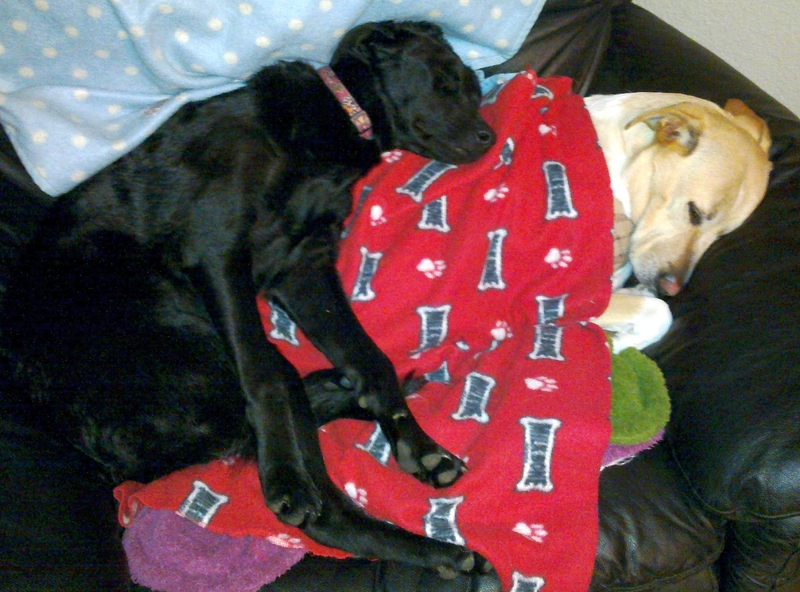 How spoiled can any two dogs be? They had guests over but the dogs got the chair! 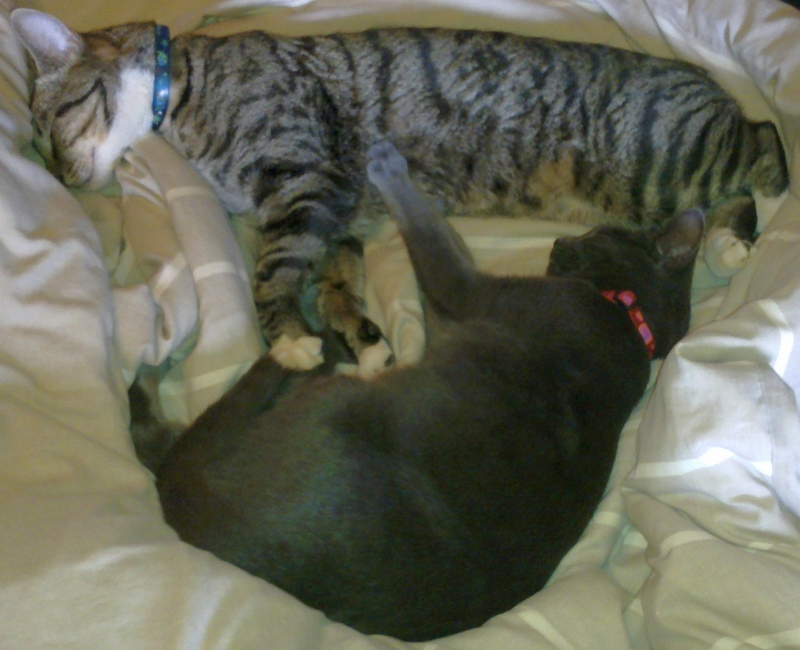 Sarah-Bell sleeping on top of her elder sister – the cleverly named Bitsa (’cause she’s a bit of this and a bit of that). 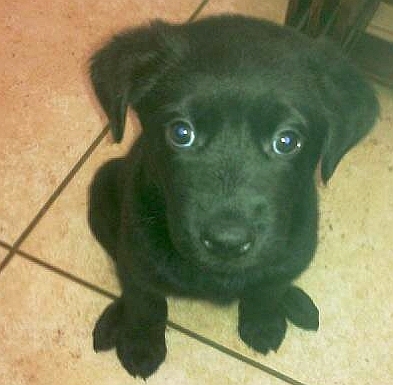 PS – she’s also a rescue – so it’s really 2 happy endings. Jumping back to the middle (I’m not making you go back to the beginning – that would be absurd) Sabre, my “baby boy” arrived at Cat-A-Holics rescue shelter, with 2 other kittens, all only 4 weeks old. To the rescue Bat Man (oops, Cat Woman)! So to the rescue I went, selflessly abandoning all else. The deal was to take them in for 4 weeks, bottle feed them, ensure they were strong, healthy and well socialised before returning them for adoption. Take a look and tell me you wouldn’t end up keeping at least one! At this point, I have my adopted adult cat, Jangles and things are going far from well with her and my dog, Litchi. I told myself, firmly, that I had quite enough animals and would definitely be able to return all the kittens. So I plowed on into the milk mixing, bottle feeding, sterilizing bottles, mix milk again, feed again, sterilize again routine. I’m sure, at this point, you feel extremely sorry for me. It is a nasty job, having to play with baby kittens – who can handle it? Then I began the socialisation, making sure they were held by all ages, sexes and nationalities. More terrible work – I had to have friends round and introduce them to cute kitties. Poor friends – they hated it, especially the kids! In amongst this, dog socialisation was necessary (only to ensure that, if they were to go to homes with dogs, they would be alright – not because I was keeping any of them). Out of their room they came. Litchi approached with her usual response to cats, which was to pounce and bark simultaneously. Two kittens immediately tried impersonating a witches cat, with arched backs, hair standing on end, hissing and side stepping backwards (awfully cute to watch in a 4 week old). Sabre, on the other hand, look quizzical and strutted straight up to her with a “let’s play” attitude. Litchi was shocked. She froze. Then she obviously thought she may as well introduce herself properly and there we had it, my dog now loved a cat and “forever brave” Sabre had found his new best friend. I assume you’re guessing how “taking them all back” went? 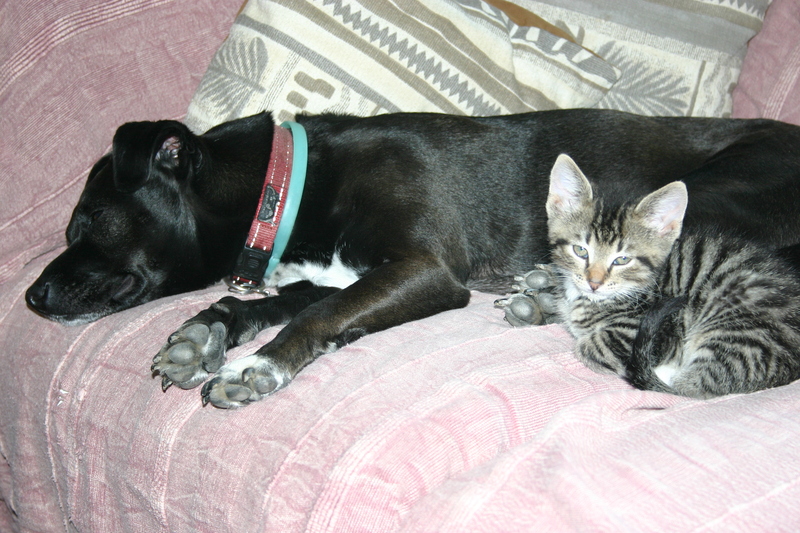 Who would have thunk it – my dog is friends with a cat! The Happy Tails ending happened for all of them. 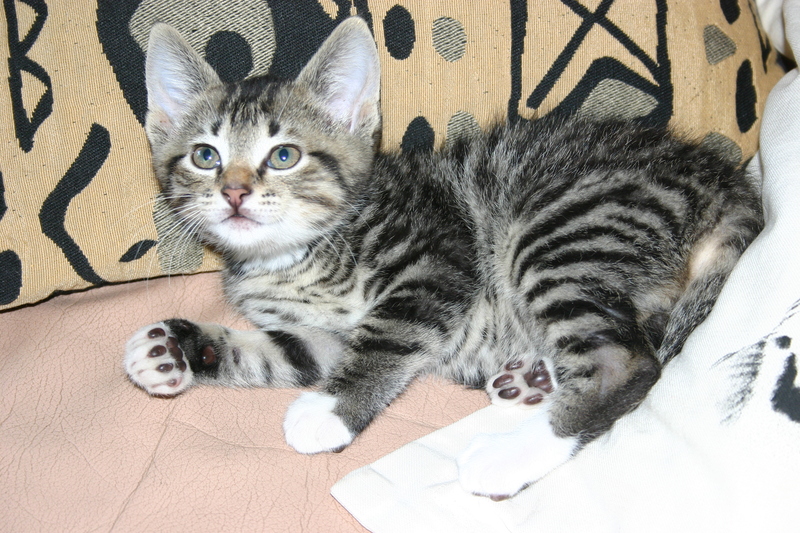 Sabre, naturally, had found his forever home in my heart and house. 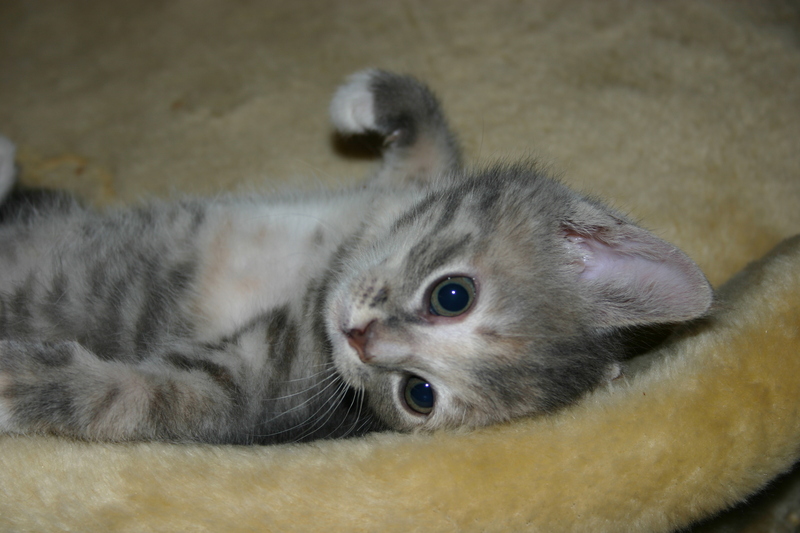 On the day I returned the other two, a woman came in specifically to adopt the one (the little, beautiful grey kitten). She brought her young son – bad mistake. Once they realized that, by taking one, the other would be left alone, they became determined to take both. Dad had, apparently, told them “only one!” (he had evidently been very firm about this). So Mom devised a plan. She assumed she would not be able to convince Dad and explained to Son that he must phone, saying “it’s imperative that we take both”. Son did as he was told. He phoned Dad and said “it is IMPERVIOUS”! I don’t think Dad could say “No” through his laughter and the kittens had a brilliant forever home, having spent only 1 hour at the shelter. Now that’s what I call a Happy Ending. Moving on to better news. Firstly, I must say a huge big THANK YOU to all of my new found blogging friends, whose encouragement and good wishes for Chocy were astounding. It is incredible to see such support. We have been awarded two new, fabulous awards and are feeling quite immaturely excited. I used to be so shy I could barely talk to people (except for unknown neighbours). Now I post my life out on the internet – weird! My folks lost me at age 7, on a trip to London to visit relatives, because I decided a hedgehog was far more interesting than people, followed it through the hedge to the neighbours, then found a cat and decided to visit people unknown. Well, who could blame me, the room of relatives all had purple hair – how’s a 7 year old supposed to cope with that! I have an unrequited desire to drive a truck – one of those really big, long haul horse and trailer types. I love trucks! Back to the “shy” thing – in junior school, a chap ran over my foot with his car. I was so mortified by the attention that I denied the whole thing. I actually helped the driver look for what he might have driven over – couldn’t put my foot on the ground for months thereafter – silly child. I would love mornings, if only they would come a little bit later in the day. When he’s not with me, my husband phones me about 5 times a day. I just told him to get off the phone so I could finish this post. Bad me! Bad, bad, bad. I’m a girl but I hate shopping. Really, I hate it! My husband loves it – where’s the sense? I recently found out that I’m nuts. Diverting slightly, the kindness shown by everyone reminds me of the numerous times I am asked how I can cope with working in the animal rescue field. My answer is always the same. Although it is true that you get to see the worst side of human nature and the cruelty that people can bestow upon what they perceive to be weaker than themselves (animals, children, women, etc), I also get to see the absolutely BEST side of human nature -the people who will give of their time, emotion, support and money unconditionally. Those people who work tirelessly for the good of animals in need, without a thought for their own gain. To me, it is worth the world. It is one of the most uplifting experiences anyone could hope for. For my part, I will continue to work tirelessly assisting the shelters and attempting to grow the support for this blog, so as to raise the necessary awareness and funding for the shelters who will, if need be, keep animals for life. The shelters not only keep the animals alive, but provide them with a life. 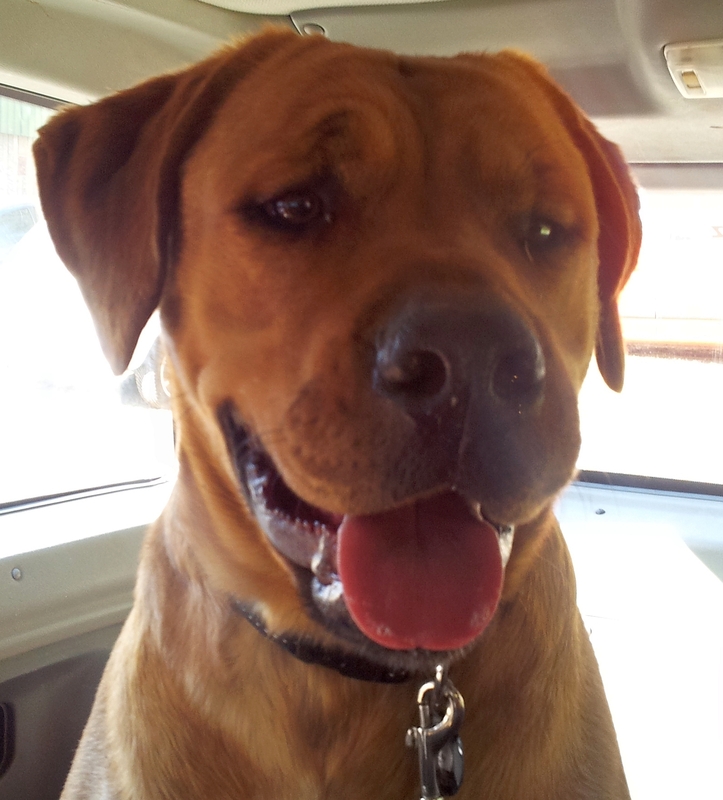 As an example, although Chocy is back at the shelter, she is not simply confined to a kennel. She is loved. She is taken for a walk, off the property, every day. She has bonded with both the owners and staff of the organisation. She is happy, albeit not in her ideal “forever” home. Alright then, having rambled on quite enough, it is time to get back to the reason for this blog – finally! In the midst of the chaos, yet another Award was bestowed upon us. This is just outstanding and I would like each of the award presenters to know just how much this means. Each one counts. Each one assists in creating the awareness for which I am working. 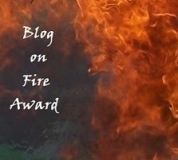 So, to One Spoiled Cat and Fluffy Popcorn, I thank you for the Blog on Fire Award. It is really beautiful and I am ecstatic! 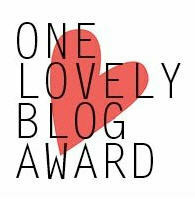 To Mollie & Alfie, thank you so much for the Sisterhood of the World Bloggers Award. This too, is gorgeous and we are overjoyed to have it. Thank you for your generosity and help. You are all fabulous! Europa’s IceWolf – A fantastic, mystical site, with real life questions – very different and well worth a view. Granbee – A fabulous Mother, Grandmother, Dog Trainer and writer, finally returning to her roots in writing. Dakota’s Den – Great stories of the daily “goings on” of a dog named Dakota (her Mom needs some good tidings today, so hop over and say “Hi”). Easy Weimaraner – Superb stories from Easyrider, the Weimeraner and proud owner of two human slaves. Serenity Spell – A wonderful trip through nature, with stunning photographs and an inherent belief in the good of human nature. I love Schnauzers – A brilliant foster parent for the Schnauzer Rescue Group, whose life “went to the dogs” on the arrival of foster dog Dieta. Chocy Dog – Do Not Judge Her, Judge Her Past! The saga of Chocy does not end. Why would it? I have been debating sending out this update, which explains why there has been a distinct lack of blogging lately. As changes happened in Chocy’s life, I thought I’d wait for the Happy Ending portion of this tale. As each day continued with a roller-coaster of absurd events, I continued the wait. After much deliberation, I have decided to post this, although the ending is far from the sought after outcome. Although I try to keep this blog up-beat and humorous, I find there is no way of making light of this subject. After reflection, the Shelter Owner changed her mind, deciding that Chocy could be homed with “Son”. He, for his part, was ecstatic. Mom and Son collected Chocy on Friday afternoon and I awaited their promised feedback. The call came, far earlier than expected. A frantic Mom informed me that Chocy had bitten one of the house mates. I rushed over immediately. The Shelter had feared Chocy might be aggressive towards the other dog. However, she behaved perfectly, wanting nothing other than to play. No-one had expected a problem with people. The House Mate (offended party on receiving end of bite) turns out to have grown up with parents who breed Dalmations and his behaviour and training ability with dogs is superb. On arrival, he was calm and getting on famously with Chocy. He had arrived home soon after Chocy’s arrival, whilst the excitement levels were high. He believed that this, coupled with the fact that she was somewhat cornered, may have led her to “fear bite”. No skin was broken, it had been one nip and then she had backed down. In order to release some of the excited tension, we played fetch with Chocy, a game at which she is superb. The house mate started some training exercises, which went perfectly. He then put her on the lead and within 5 minutes had her trained not to go out of the gate. Chocy is clever. She wants to please but something has happened in her dubious past. By now, it was clear that the House Mate had fallen completely in love, bite or no bite. Chocy’s beautiful nature was coming out and I was beginning to think that, between the Son and House Mate, this was going to be her perfect home. Both were fabulous with her. Both were dying to get her to the park for a run and play. Both were excited to take her on their daily jog. I had the perfect blog – the happy ending. Then the next house mate arrived home. Chocy rushed up to greet him. She tends to jump up (an easy behaviour to stop in time). Being a very big dog, the guys’ instinct was to push her down. Something has happened in Chocy’s past that has her fearful of that particular action. As she came down, out of fear, she bit. It was an instinct, with no follow through. She moved away instantly and was, once again, absolutely fine with me, Son, House Mate and Mom. However, with multiple people living in the house and frequent visits from all their friends, we could not risk leaving her there. What if it were to happen again, with a friend? What would Chocy’s future be then? For Chocy’s safety, it was imperative to take her back. If it were only the Son and House Mate, she would have found her Perfect home. I’m afraid that this is a sad ending, to what could have been something beautiful for the truly sweet, loving and fantastic Chocy. Please don’t judge her on her reactions to fear. 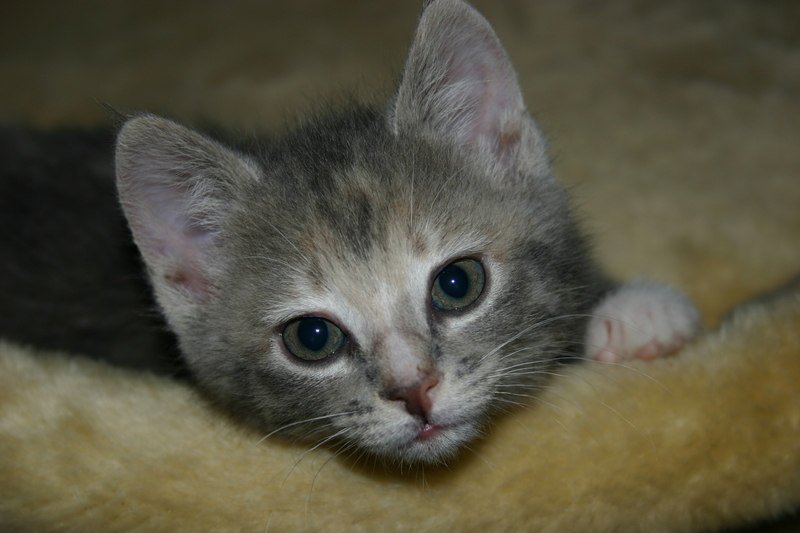 She simply needs a quieter home, with a knowledgeable owner, to be the perfect pet. Our job is just a little bit harder now. My heart breaks and I could not bring myself to write this update earlier. However, we will keep looking for that perfect home. It will come! Oh To Be A CAT! Help Needed! I am quite new to this marriage phenomenon, having launched myself into it at, shall we say, a slightly advanced age. This left me with certain life expectations. Oh and by the way, don’t tell me this post has nothing to do with animals for today, I perceive my basket case husband as precisely that. When you are tired – go to bed. When in bed – go to sleep. When tired – tell wife to go to bed. Tell wife you are switching off your computer and then play some absurd fantasy game with other wayward husbands, somewhere off in the global ether we now call the internet. Occasionally, whilst playing ridiculous game, call out to wife to make sure she doesn’t do anything absurd like fall asleep. Shout out, into the quiet of the dark night, that you love her (because that, apparently, forgives all evils). Having kept wife awake for a suitable amount of time, come to bed with a stupid little guilty grin and proceed to try to cuddle her – the purpose of which I assume is related to the “I love you, my sweetheart” from above. Allow wife to get really comfortable and start drifting off into the sleep of angels (yes, of course I am one – I do nothing wrong). As the calming blanket of sleep begins to envelop wife, bounce (I have now realized men have absolutely no ability to simple step) out of bed, declaring your need for a sandwich. Well of course you need a sandwich, after all, you only had a full dinner and pudding. How can a grown man be expected to survive on that! Do not, under any circumstances, make a soft sandwich. It is imperative, apparently, to make a sandwich containing as much crunchy material as you can muster. In last nights’ case, this included cucumber, red/yellow/green peppers and, of course, some onion (the latter being designed to ensure that you can also smell the sandwich). Throw yourself back into bed, preferably with enough momentum to bounce your wife right off the other side. Settle in gleefully and munch, crunch and chomp your way through your delightful midnight snack, all the while protesting to a now grumbling wife that “but it’s only a sandwich”! Sound as much life a small, deprived child whilst saying this. Having now sufficiently ensured that sleep will evade your wife, finish the sandwich and immediately, without a seconds breath in between, fall into a deep and peaceful slumber, accompanied by the symphonic notes of snoring (just in case your wife might be able to pretend you are now also, unable to sleep). Is this normal? Am I simply too used to the selfishness of single life? And for anyone still insisting that this has nothing to do with animals – the cats slept on the bed, unmoved or troubled, throughout the entire episode. What’s Meant To Be, Will Be! If there’s one thing that life has taught me, it is that when things are meant to be, they will happen. If there’s one thing that animal rescue has taught me, it is to remember the above. If there’s one thing that the blogging world has taught me, it is that people like being scared witless by creepy creatures?!? Thanks for all the “Likes” on my previous creepy blog but maybe we need to look at a “What the Hell?” button. My previous Chocy update had a number of Chaos scenarios. This update has but one. This statement was, of course, true when I wrote it on Friday. The additions to the chaos will explain why it was never posted. Shelter Owner Arrives – nothing news worthy there. Chaos 1 – Shelter Owner immediately notices the gate between the back garden and driveway is open. The decision is set in stone. Chocy will not be homed here. My poor, dear Chocy. She was not yet there, so there had been no need to close the gate. The Jack Russell has been well trained and never attempts to run out. The Shelter owner, however, saw this as a red-flag. I understand that the Shelter owner takes every animal in her care extremely personally and treats them as one of her own. I also understand why she is reluctant to let Chocy go. I take my hat off to her for the bond she has with her animals. However, I also feel the son’s deep disappointment. He failed his Interrogation Test! But fear not, son, for we shall find you your perfect dog, who awaits your perfect home. Shelter Owner contacts Son again. She has changed her mind. Son may collect Chocy on Saturday. Brilliant!! Saturday comes and goes. No sign of Son. Shelter Owner panics, phones son (no answer). Sunday: Son phones Shelter Owner. He had a party to attend to so couldn’t collect dog and left phone at home. Can he collect dog on Monday? Shelter Owner has a frothy. (well, no, not really but it reads better that way). Monday: Shelter Owner phones me. Mind changed back – no adoption for Chocy. Final Statement: Back to original Friday post. A different dog awaits this home and a different home awaits Chocy. Note to anyone thinking animal adoption is easy – refer to above!